Heat oil over high heat and brown the meat, breaking up any large pieces. Add onion and garlic, chili powder, cumin, cayenne, oregano, parsley, salt, pepper & stir for about a minute or two to allow the herbs to infuse in the oils for a balanced flavor. Add celery, beans, tomatoes, beef stock & bay leaves. If you like chili with kick, add a chopped jalapeño. If you prefer a more subtle heat you can throw the whole pepper in. Bring chili to a boil & stir. 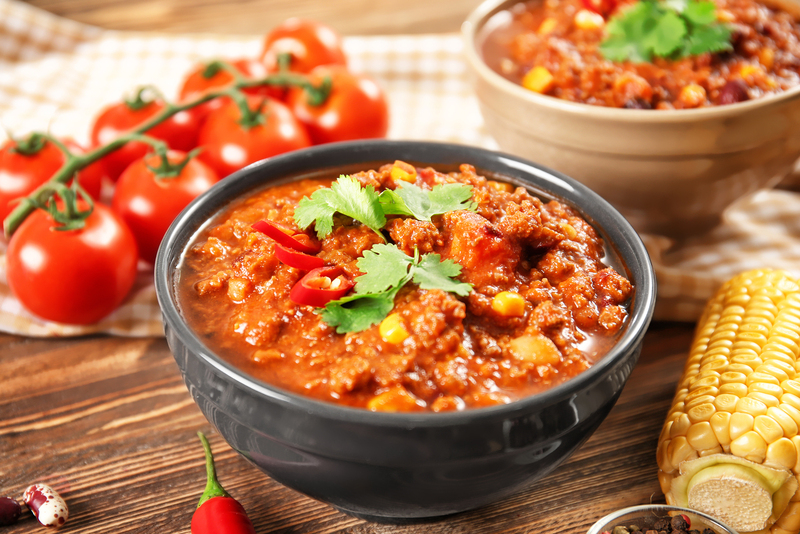 Reduce heat to low and let simmer for 3-4 hours on stove top or transfer chili to a slow cooker on low heat. Stir frequently to make sure nothing is sticking to the bottom. Feel free to get creative. You can add green or red peppers or a variety of different beans. I often add a cup or two of finely shredded carrots or a small handful of finely (super-stealth, tiny) chopped kale because it is an easy way to sneak a few more veggies in my kids’ bellies.